A US Air Force B-1B Lancer prepares for takeoff from Andersen Air Force Base in Guam to conduct a mission with South Korean F-15, and Japan Air Self-Defense Force F-2 fighter jets, July 7. Three days after North Korea demonstrated its ability to hit the US with long-range nuclear missiles, the US, South Korea, and Japan put on a display of air power expressly meant to frighten Kim Jong Un. Flying 10 hours from Guam to the Korean peninsula, US B-1 Lancer bombers joined up with South Korean F-15s and dropped dud bombs at a range near the demilitarized border between North and South Korea. On the way back, Japanese F-2 fighters escorted the US heavy bombers. "North Korea’s actions are a threat to our allies, partners and homeland," Gen. Terrence O’ Shaughnessy, Pacific Air Forces commander, said in a statement. "Let me be clear, if called upon we are trained, equipped and ready to unleash the full lethal capability of our allied air forces." In the pictures below, see how the US and its allies train to respond to North Korea. The B-1 was originally designed to carry nuclear weapons but is no longer able to. But it can carry more conventional bombs than any US Air Force plane and fly at mach 1.2. Due to tensions in the Pacific, the US maintains a constant bomber presence in Guam. Here's the US and South Korea sending a strong bilateral message to Kim Jong Un. On the way back, Japanese F-2s escorted the B-1s. Moscow-based security company Kaspersky Lab has denied working with Russian intelligence agencies, following US media and government suspicion. News website Bloomberg said it had seen emails showing Kaspersky had developed tools for Russia's intelligence agency. And, on Tuesday, the US government's General Services Administration removed Kaspersky Lab from a list of approved vendors. But the company has now insisted it has "no ties to any government". Kaspersky Lab is known for its anti-virus software and provides cyber-security products to businesses. 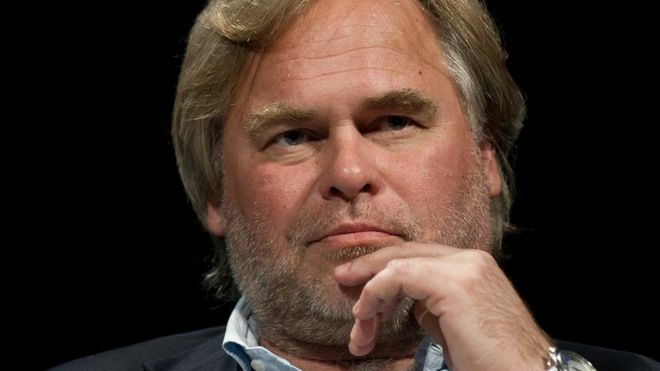 Bloomberg reported it had seen emails between chief executive Eugene Kaspersky and senior Kaspersky staff, outlining a secret cyber-security project apparently requested by the Russian intelligence service FSB. In the emails Mr Kaspersky describes tools to "protect against attacks" and also engage "active countermeasures". Bloomberg suggested that the tools not only deflected cyber-attacks, but also captured information about the hackers launching them, to pass on to Russian intelligence services. In the emails, Mr Kaspersky said the software could one day be sold to corporate customers worldwide. Refuting the claims, Kaspersky Lab said: "The communication was misinterpreted or manipulated to try to make the media outlet's narrative work. "Kaspersky Lab is very public about the fact that it assists law enforcement agencies around the world with fighting cyber-threats, including those in Russia, by providing cyber-security expertise on malware and cyber-attacks." However, the US General Services Administration said it had removed Kaspersky Lab from its list of government-approved suppliers "after review and careful consideration". In a further statement, Kaspersky Lab said: "The company has never helped, nor will help, any government in the world with its cyber-espionage efforts. "Kaspersky Lab believes it is completely unacceptable that the company is being unjustly accused without any hard evidence to back up these false allegations." In the statement, Mr Kaspersky offered to meet US government officials and provide his company's software code for audit. "Kaspersky Lab, a private company, seems to be caught in the middle of a geopolitical fight where each side is attempting to use the company as a pawn in their political game," the company said. The Trump administration has been fighting allegations that it had contact with Russian officials during the US election in 2016. 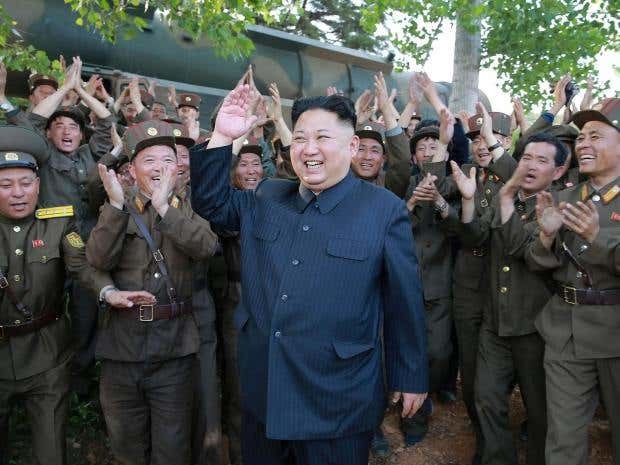 When North Korea launched its first intercontinental ballistic missile in the early-morning hours of 4 July, US military and intelligence personnel watched for a full 70 minutes, a source told The Diplomat's Ankit Panda. During that time, North Korean leader Kim Jong-un smoked cigarettes and strolled around the launchpad under the US's gaze. The US knew North Korea was in the final stages of building an ICBM after a recent rocket-engine test. The US knew North Korea liked to test missiles on the American Independence Day to send a message. The US knew this missile was different from any it had seen before, and the US knew it could destroy it with a variety of precision-fire platforms in the region. Importantly, the US also had Kim in its crosshairs for over an hour — and did nothing. Those facts speak volumes about the security climate in the Koreas. Video of the launch clearly shows Kim on-site, sometimes feet away from the missile. The next day, the US and South Korea put on a blistering display of precision-guided firepower demonstrating they could have both killed Kim and stopped the launch. But they didn’t. By letting North Korea know it watched Kim as he prepared for one of his country's most provocative missile tests ever, Baker says, the US may have sent two powerful messages. The decision fit with Secretary of State Rex Tillerson's statement that the US wanted “to bring Kim Jong-un to his senses, not his knees” and that regime change was not the US's ultimate goal. But regime security is the reason North Korea wants long-range nuclear weapons in the first place. If the US demonstrates it's not intent on killing Kim, that could communicate that there's “no need to continue” the missile programme, according to Baker. But “if the program is continued,” Baker said, the US showed it could “strike it and Kim.” Though North Korea varies and tries to hide its launch points, the US tracks them vigorously, and footage of the launches always shows Kim nearby. Perhaps rather than kill Kim and trigger a North Korean response, which could be massive, the US elected to signal that the best path to regime security would be to stay indoors and not play around near dangerous rocket engines, which have a habit of blowing up.